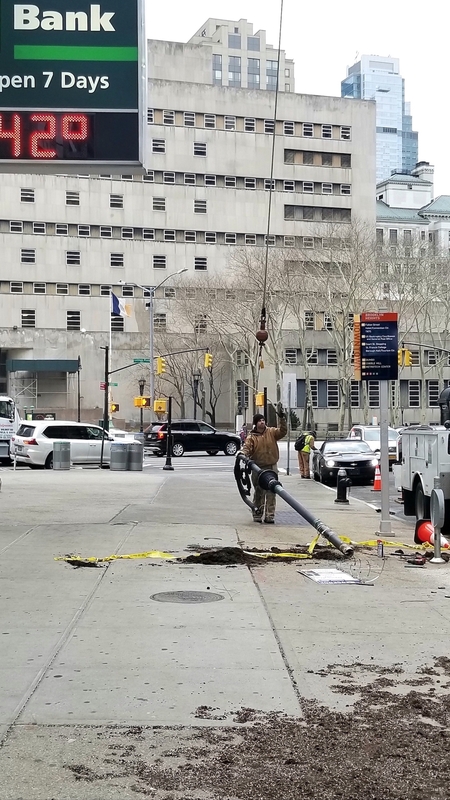 Our tireless resident journalist Mary Frost of the Brooklyn Eagle reports that a 2005 GMC Envoy jumped the curb on Montague St. and crashed into a “bishop’s crook” lamp post outside TD Bank today at about 1:15 p.m. 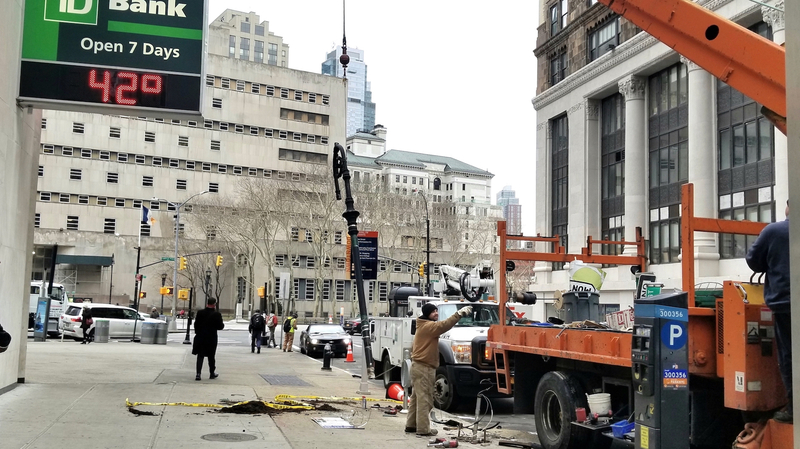 The lamp post likely spared the lives and limbs of jurors, court staff, students, and others who descend on Montague St. for a banh mi or burger right around that time. The driver seems fine too, but no telling what made him lose control of a vehicle on a clear day, on a one lane street, when he legally could not be driving over 20 mph. Less lucky was the lamp post which was unceremoniously disassembled and carted off to its final resting place. RIP “bishop’s crook” lamp post, we hardly knew ye. No surprise, that’s the Bad Vibes Block. Not 25 mph actually, only 20 mph. And honestly at that time of day it would be surprising if anyone broke 15 mph. Terrifying. Thanks, Banet. Montague St. is within the neighborhood slow zone. I’ve corrected the post. So it was a robot car? Always happy to remind people that they should SLOW DOWN. The car didn’t crash. The *driver* crashed the car. Assigning the crash to the car makes it seem that drivers aren’t responsible for operating their vehicles safely. I was too tired to appreciate the subtlety. Two kids died in park slope last week. This jacka$$ was lucky not to have killed someone with this stunt. 2 kids who had a green and were in the middle of a crowded crosswalk no less. And NO charges were filed against person who hit them. Not even a “failure to yield” ticket. Disgusting. There was human agency involved here. I peed on that lamppost just the other day, Woof.